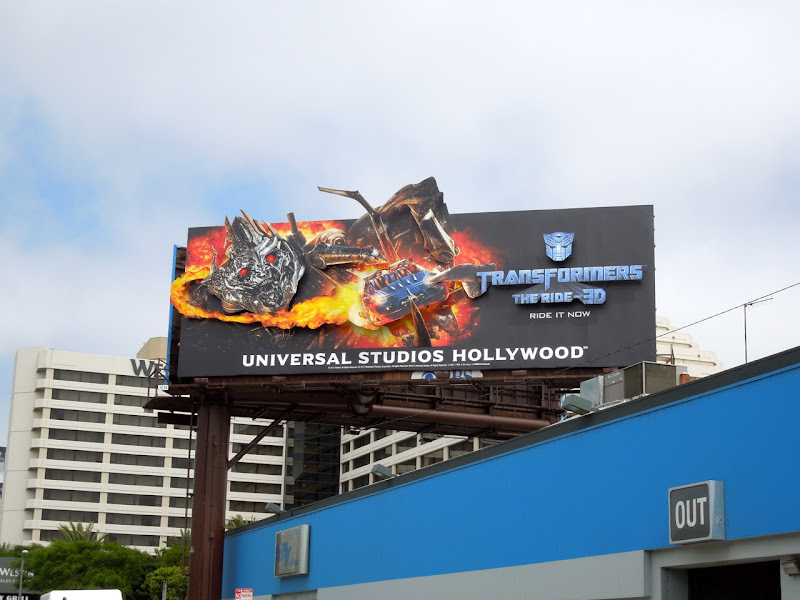 Universal Studios Hollywood welcomes a new attraction this Summer as the ultra-popular Transformers invade the theme park in 3D. 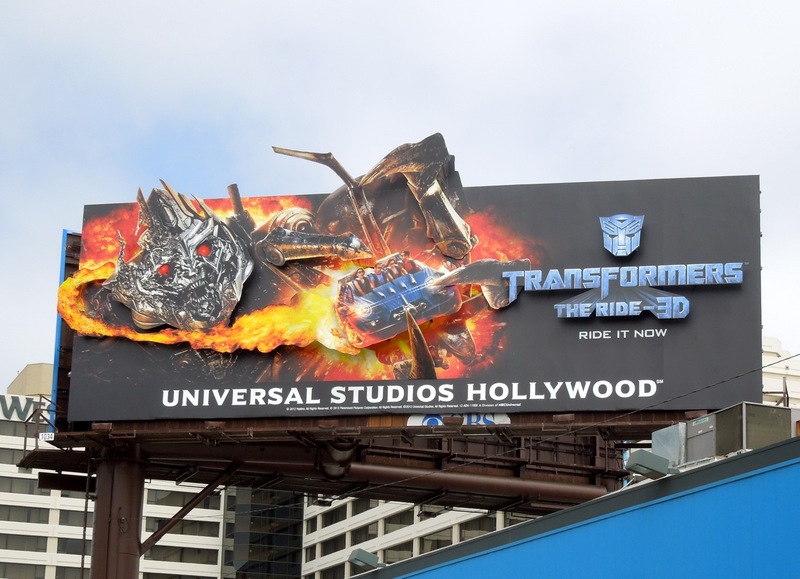 The new simulator ride features all your favourite Autobots and Decepticons battling it out in the same dizzying display of CGI special effects, so if you like the movies, you'll probably love Transformers: The Ride 3D. 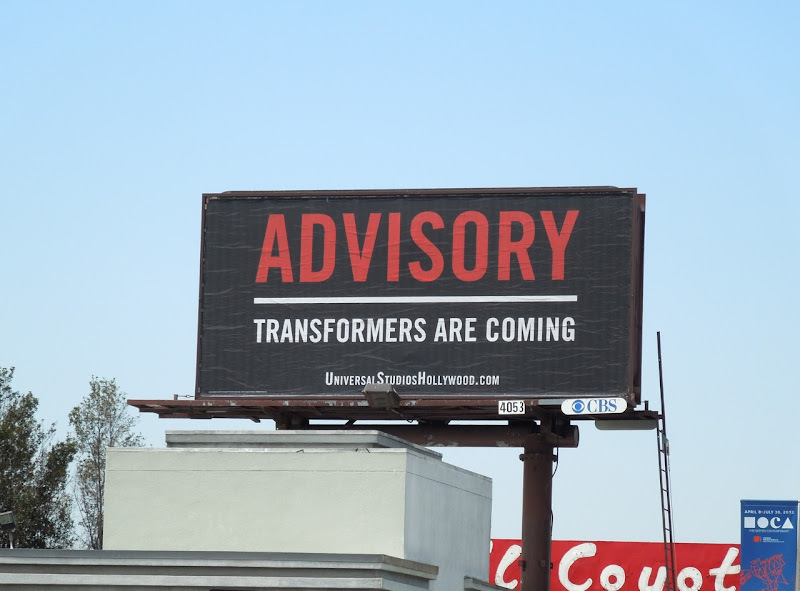 Universal Studios teased the new attraction with this 'Advisory' billboard creative snapped along Beverly Boulevard on April 4, whilst the 'Megatron' special extension creative was photographed at San Vicente Boulevard along Sunset Boulevard on May 22, 2012. Daily Billboard is surprised that they didn't go for a special installation for the new ride, just like they did with these King Kong 3D dangling mannequin billboards last June. Maybe they are still to come later this Summer or next year, when the ride needs another push of publicity beyond the initial word-of-mouth. 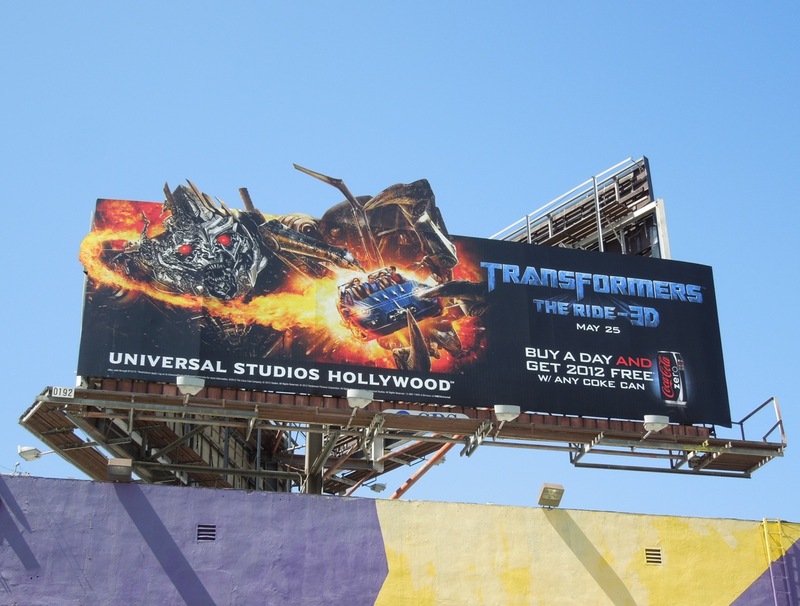 UPDATED: On the way back from the beach, Daily Billboard chanced upon this three dimensional Megatron installation for the new Transformers ride along Century Boulevard near LAX on June 21, 2012. 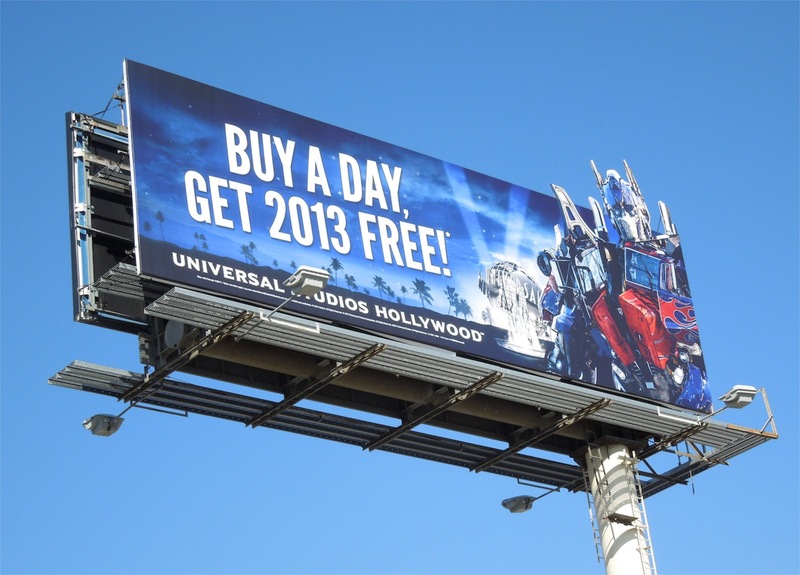 This is much more what Daily Billboard had in mind about making more of a spectacle for the new attraction (it also lights up at night). 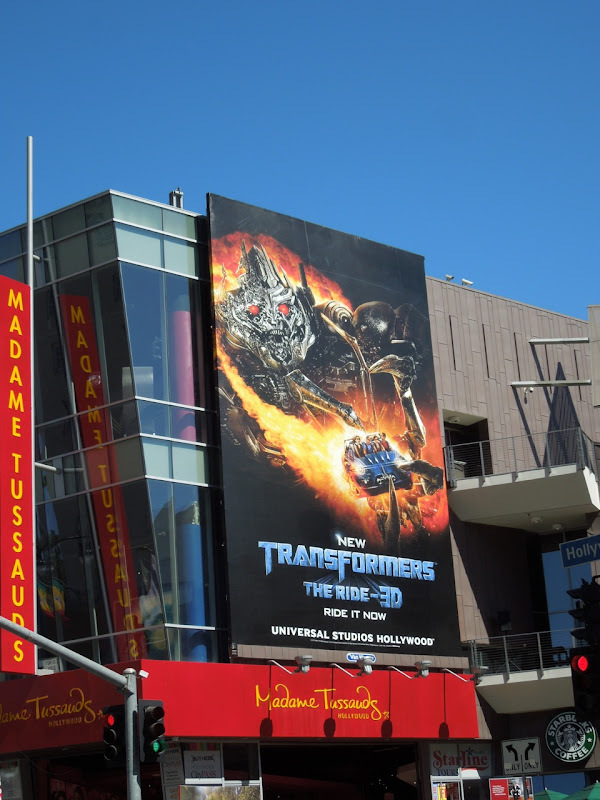 UPDATED: Here's another giant creative for the new ride above Madame Tussauds Hollywood on June 24, 2012, targeting all the masses of tourists flocking to see the sights along Hollywood Boulevard. 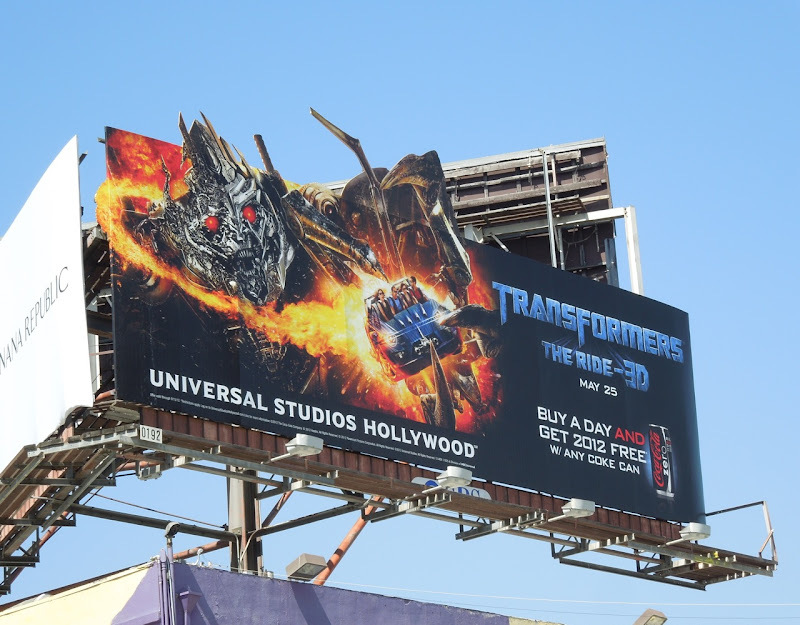 UPDATED: Universal Studios are certainly trying to capitalize on their new Transformers ride, with Optimus Prime headlining their Spring 2013 ad campaign in this billboard snapped along La Brea Avenue on February 13, 2013.